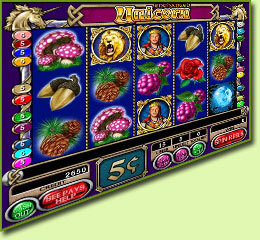 5 Reel, 20 Payline slot featuring a Unicorn Treasure Chest Bonus, Gamble Feature, Expanding Wild Symbols, Wild Multiplier Symbols and a Scatter Symbol. 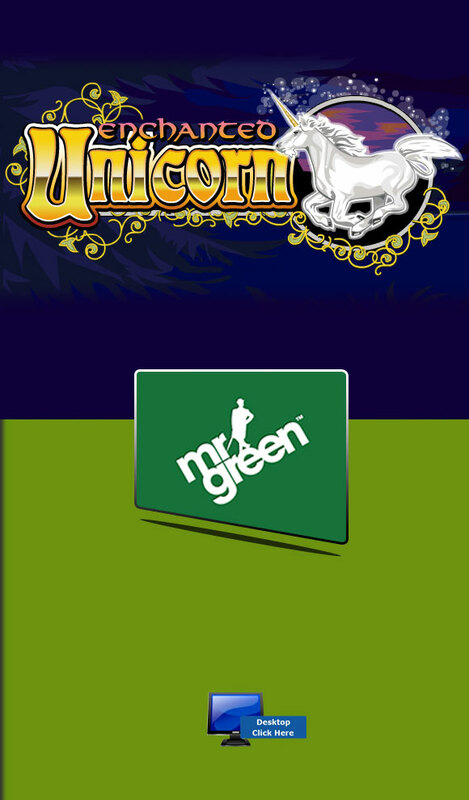 This game is about the enchanted and mythical legend that is the Unicorn. 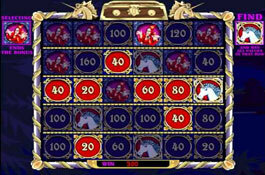 From 0.1 up to 5.00 and a maximum of 5 coins can be wagered on a single payline. The Unicorn Wild symbol substitutes for other symbols except the Scatter symbols. The Unicorn Wild will only appear on reels 2, 3, and 4. 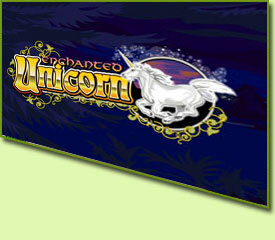 The Unicorn transforms the reel into Stacked Wilds in winning combinations. Winning combinations will be multiplied 2x for each Wild symbol that appears, before the reels get transformed into stacked wilds. 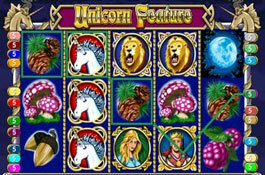 Payouts can be Multiplied up to 8x when 3 Unicorn Wild symbols appear in winning combinations. 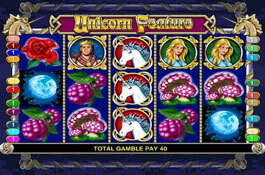 3 Blue Moon Scatter symbols can create winning combinations and award payouts. 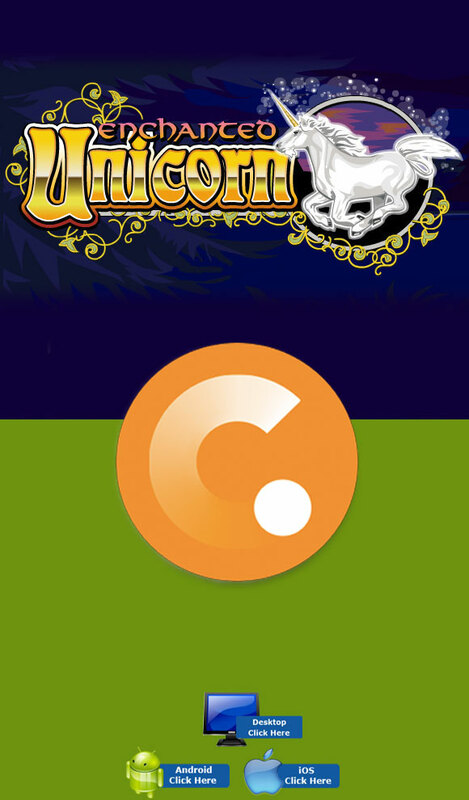 The Treasure Chest bonus symbol only appears on Reels 1 & 5 activating the Treasure Chest Bonus. 5 rows appear with 30 tiles on a treasure grid, select 1 tile out of 6 tiles in each row for prizes. When a Unicorn symbol appears all prizes on that row will be awarded. When the Evil Wizard symbol appears the Bonus round will end and the selected prizes get added up and awarded.